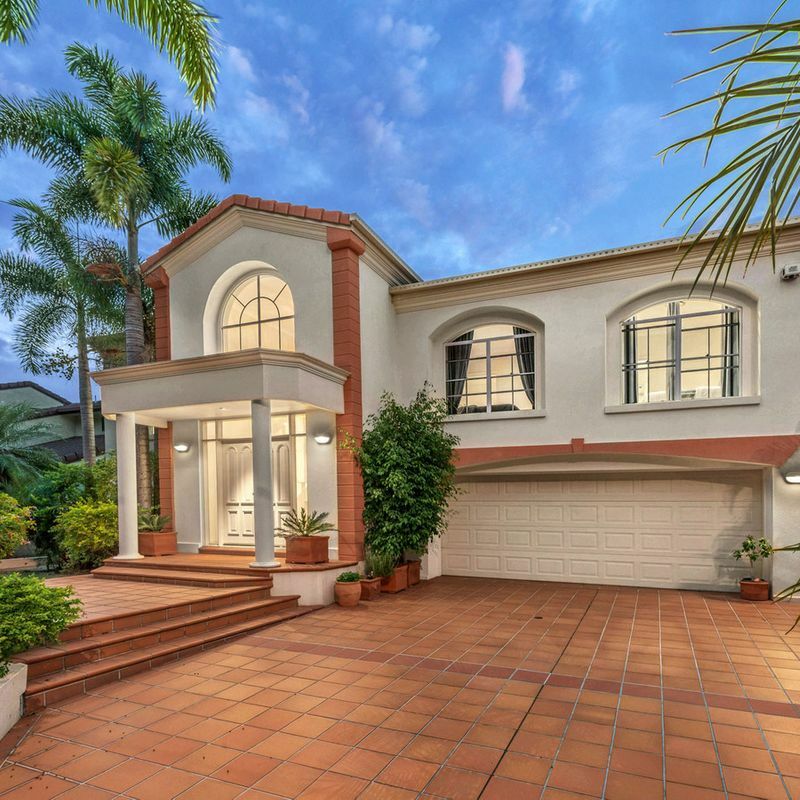 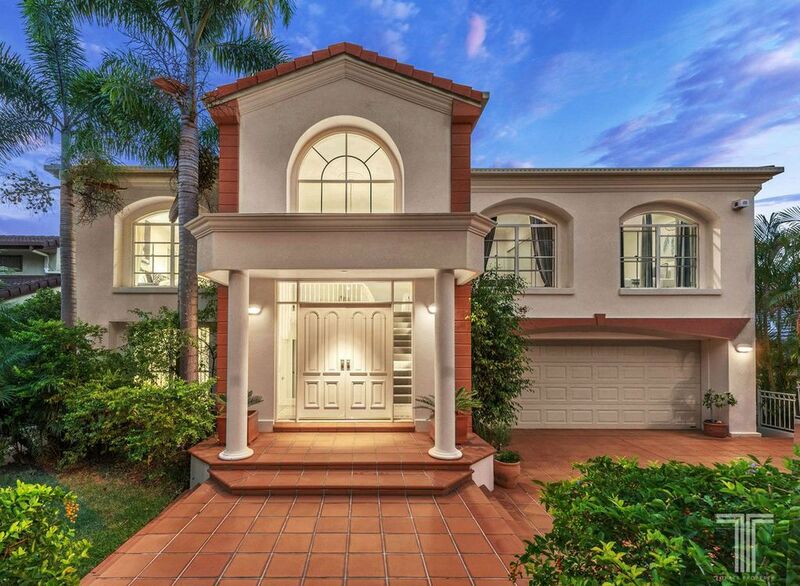 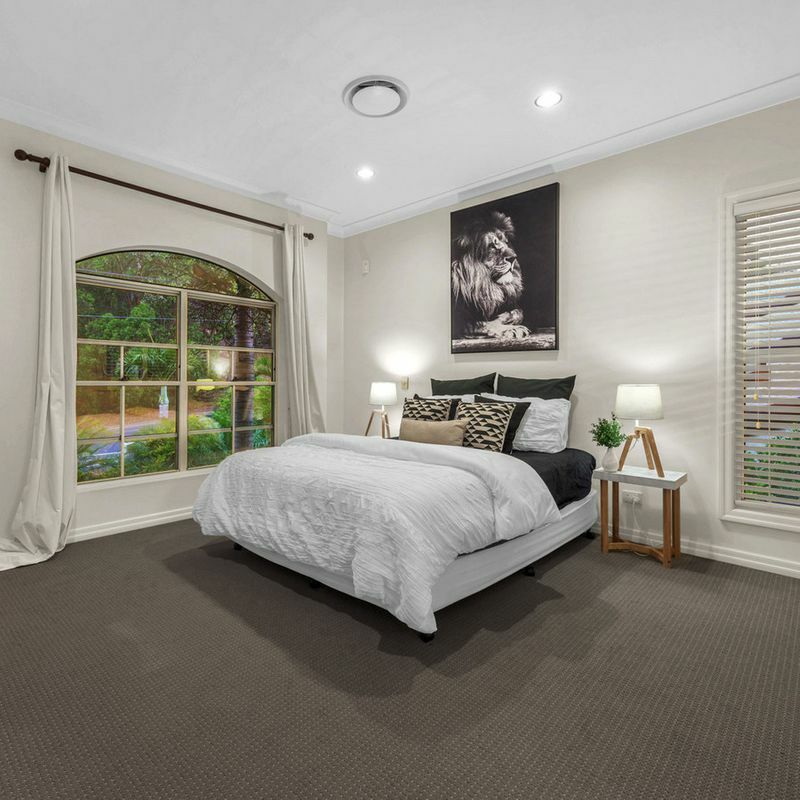 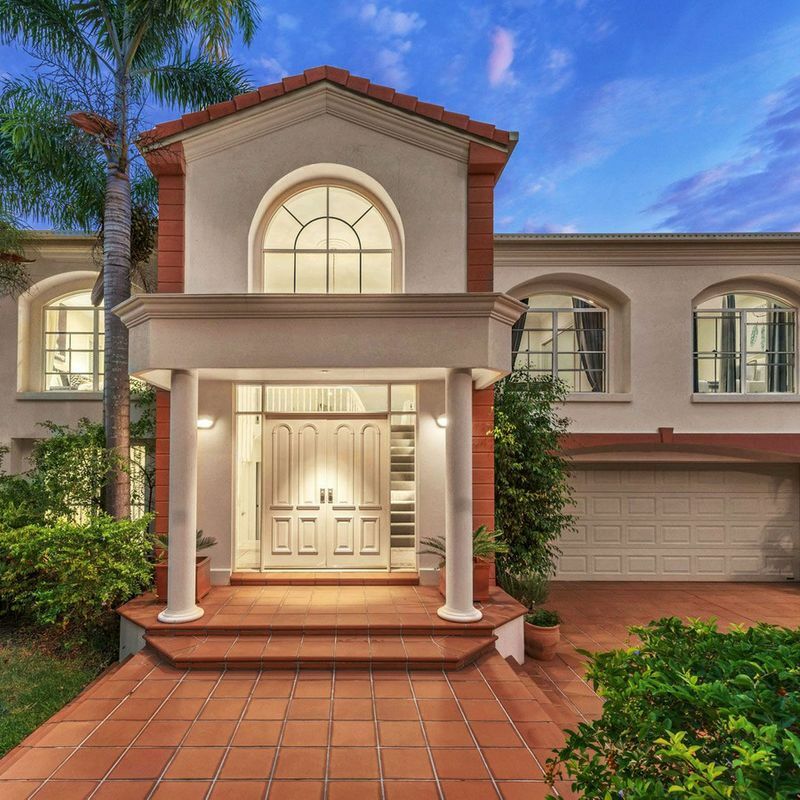 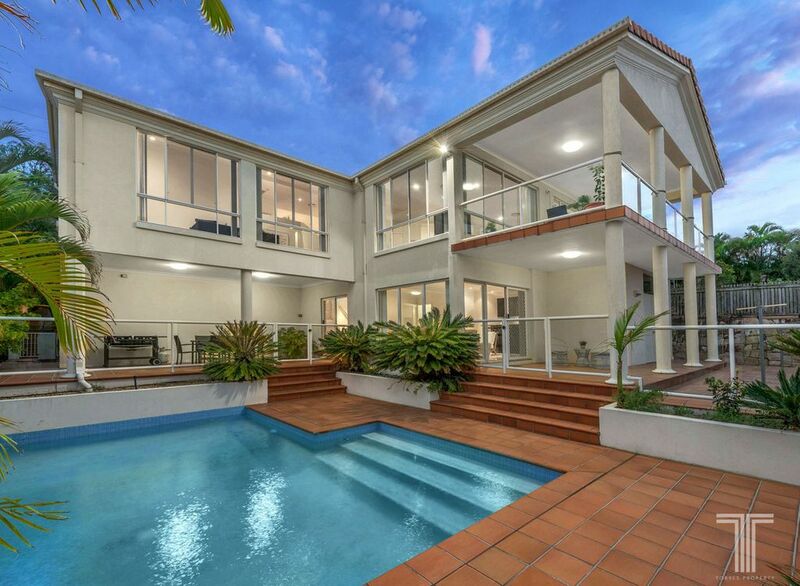 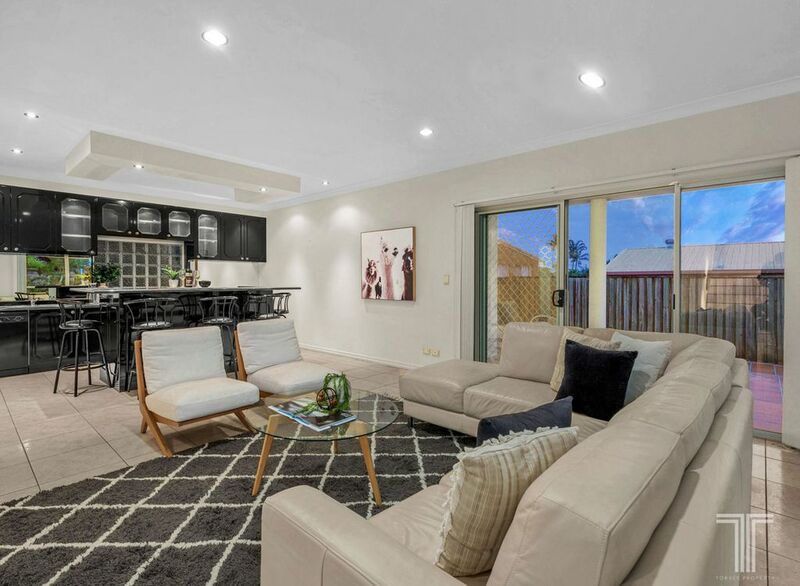 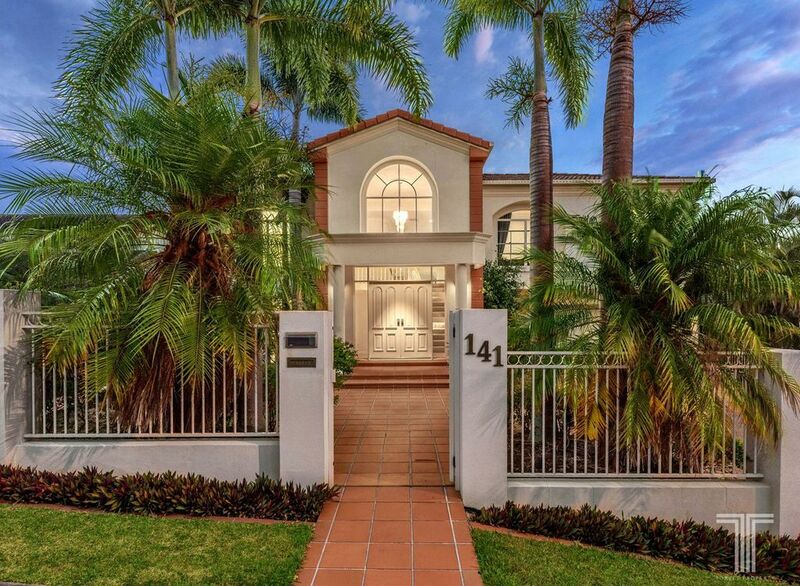 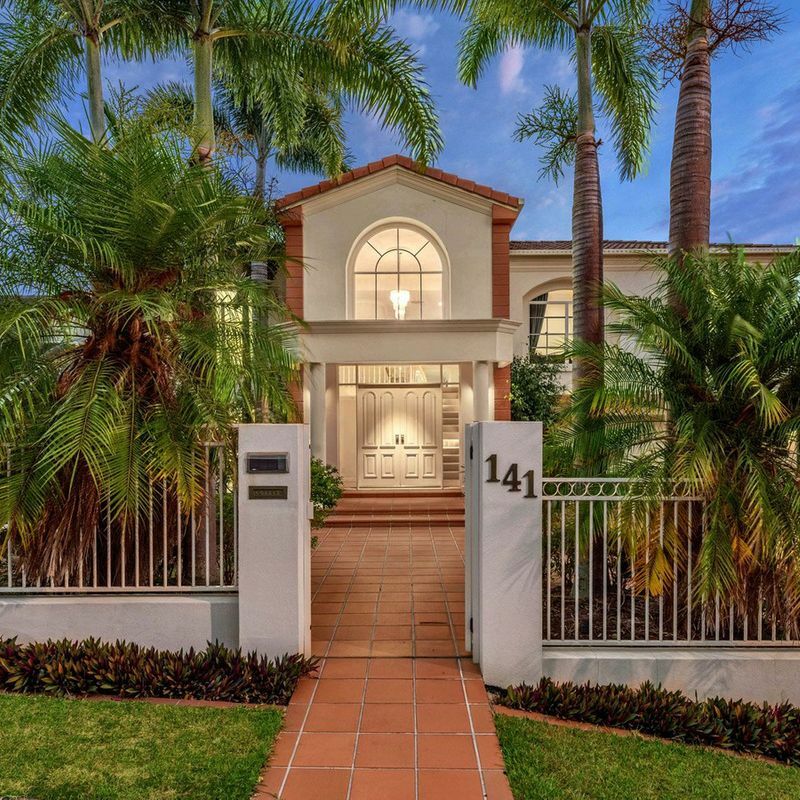 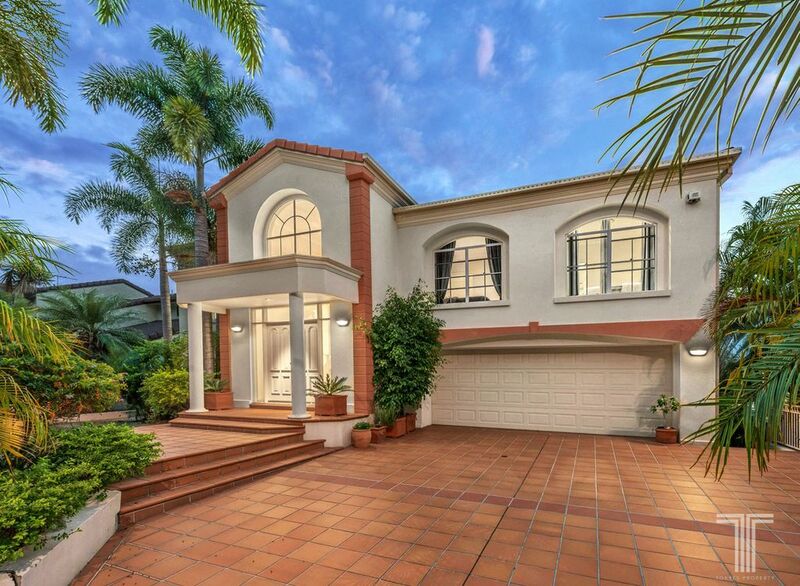 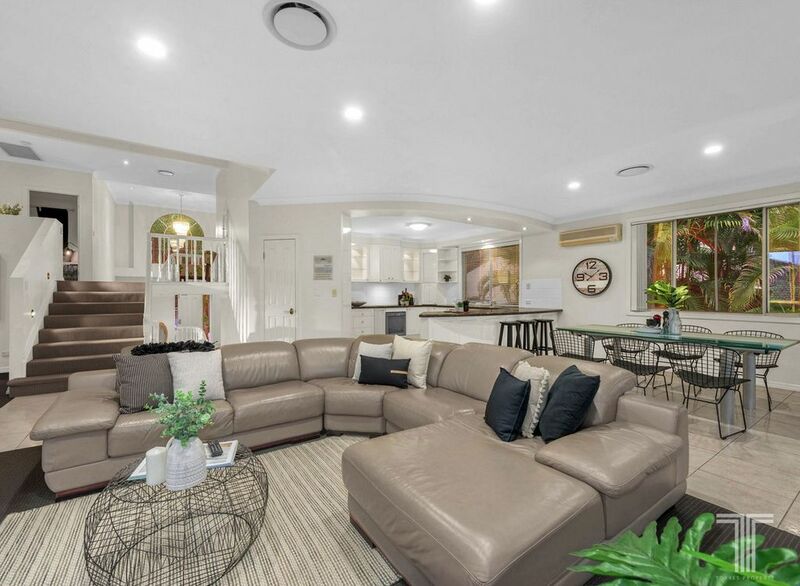 Cascading over four exquisitely designed levels, this grand and sophisticated home presents executive family living opposite tranquil bushland. 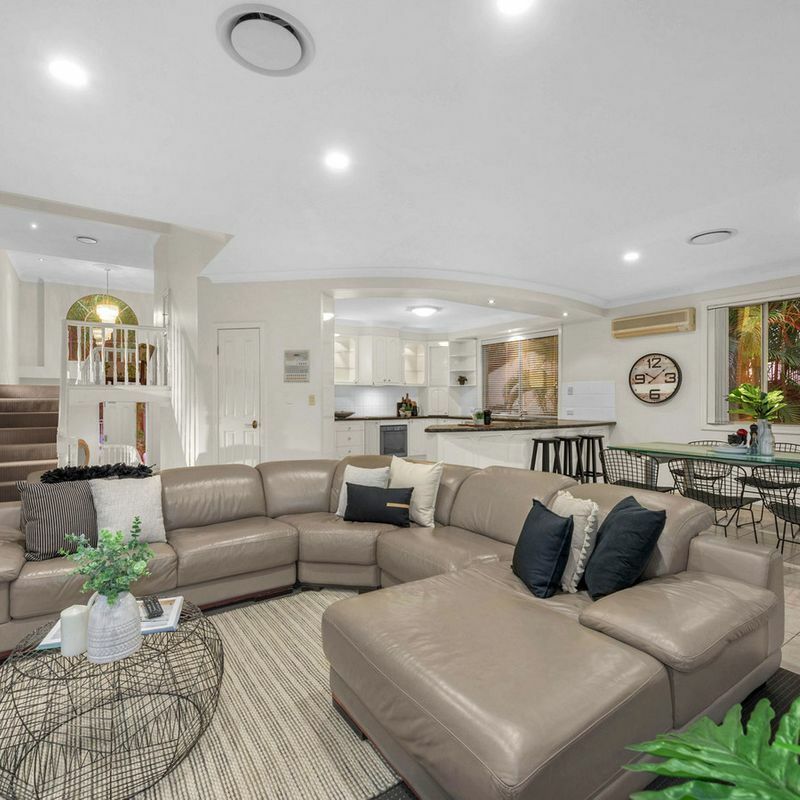 Flawlessly designed to offer grand proportions and a wealth of living and entertaining space, there is nothing more to do here but move in and enjoy the idyllic lifestyle that awaits. 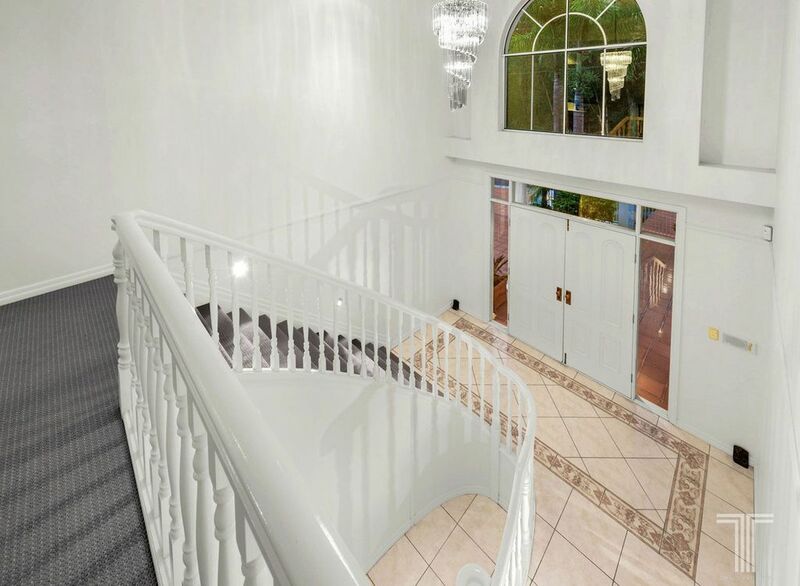 Stepping inside, admire the entry foyer with flowing staircase and soaring void with chandelier, then ascend to the upper level which reveals a free-flowing lounge and dining area. 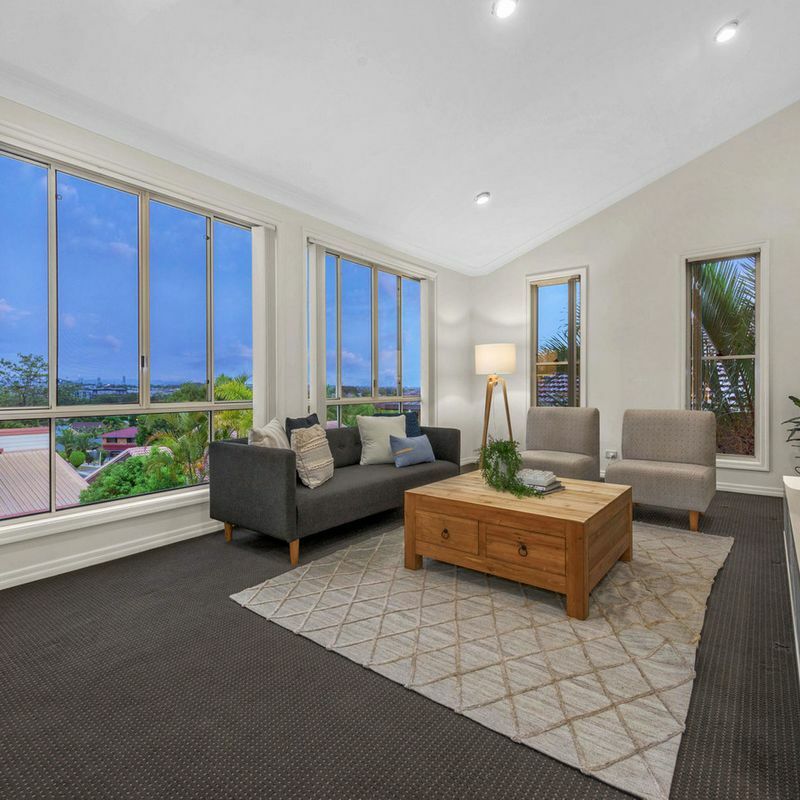 Framed by large windows and sliding doors to bring in a wealth of light, this sleek and stylish living space draws the exterior views into the home and extends onto the breath-taking viewing platform. 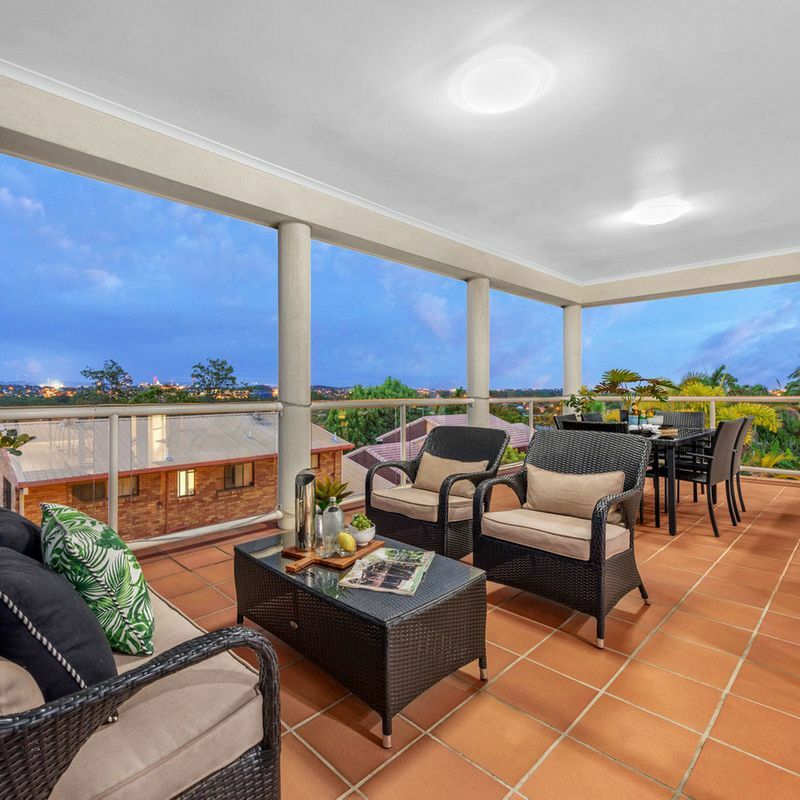 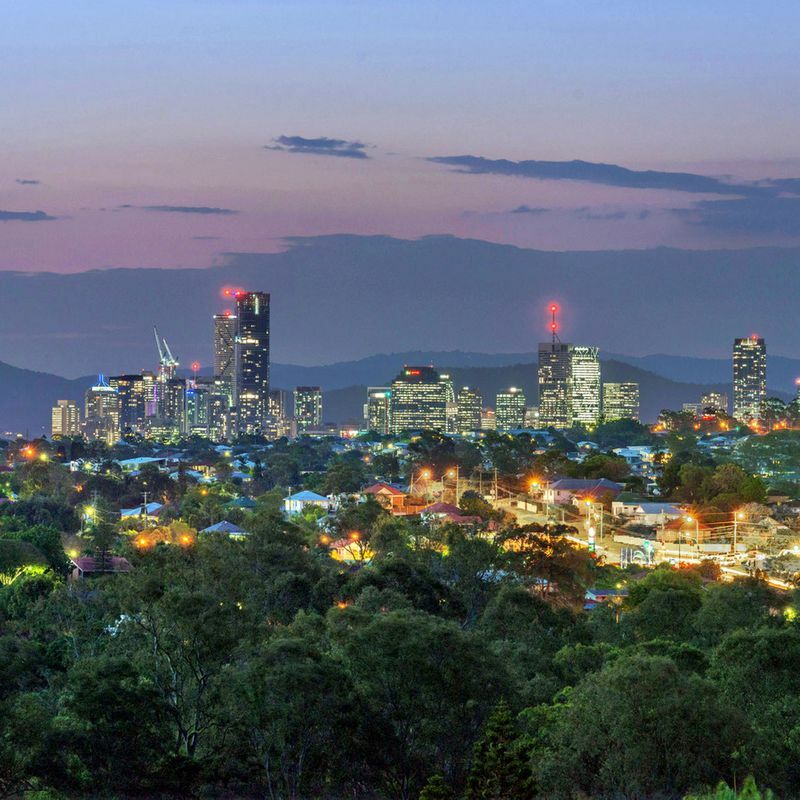 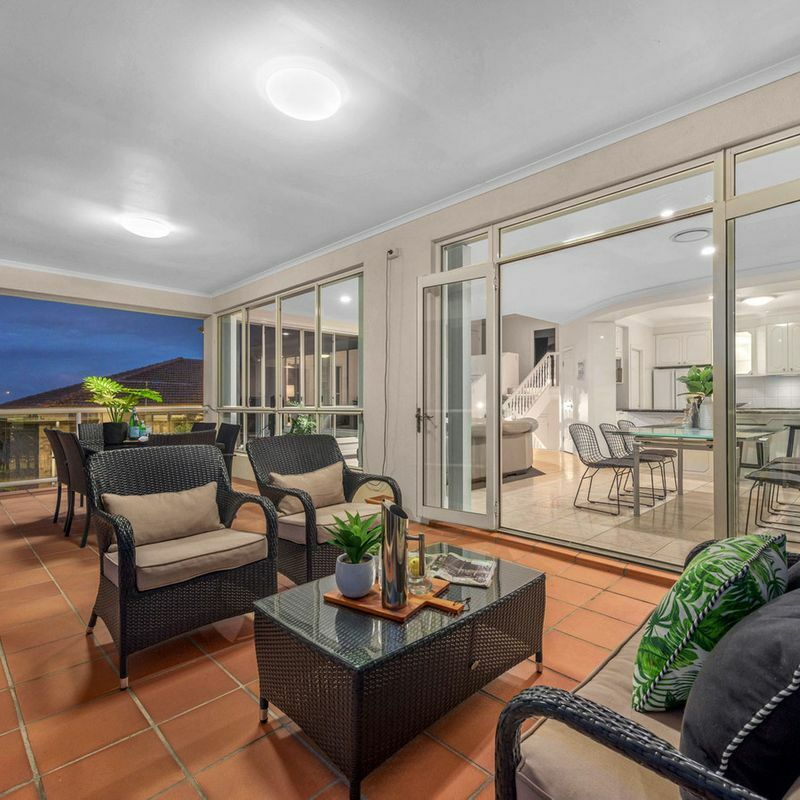 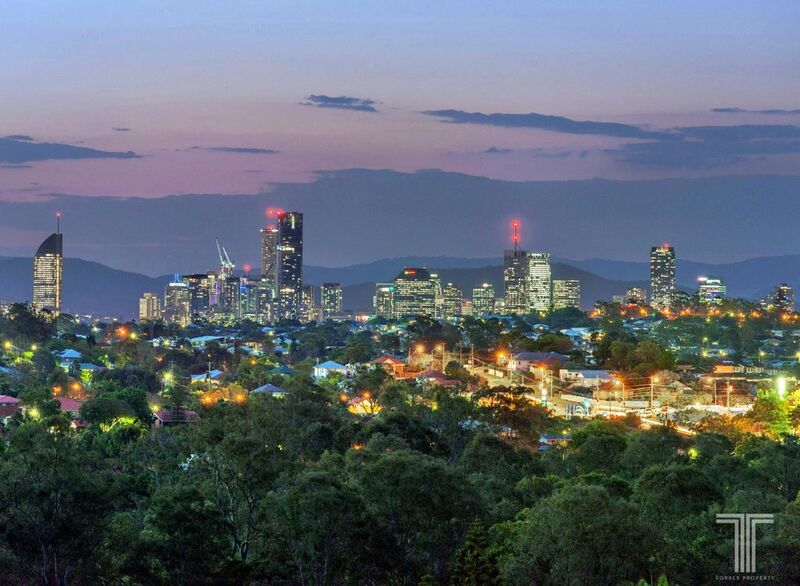 Capturing 180 degrees views from this elevated position, out and beyond to the Brisbane city lights and Gateway Bridge, you can relax on the rear entertainer style deck whilst unwinding from your busy day. 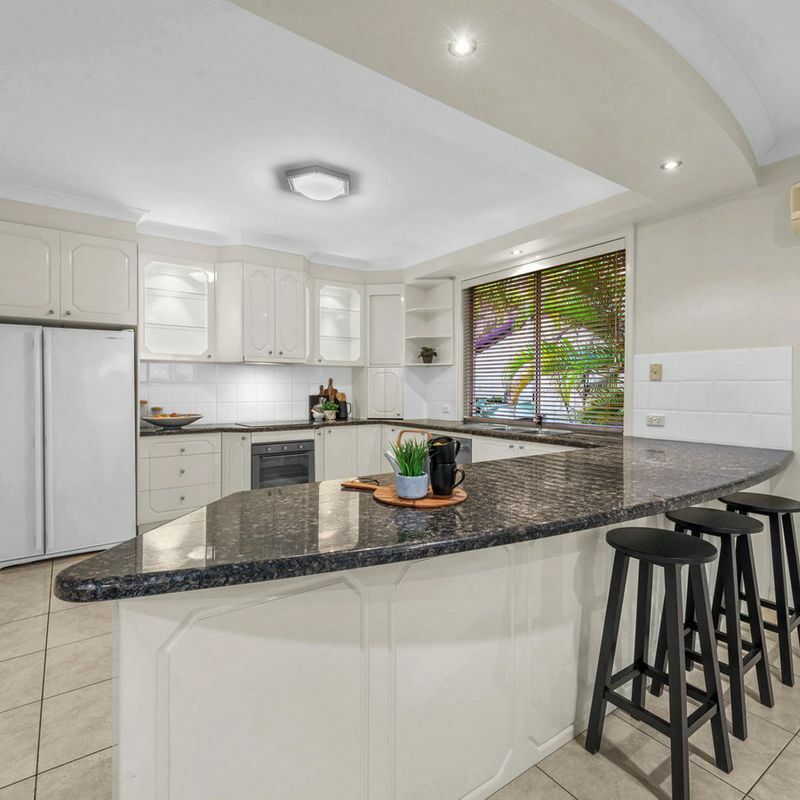 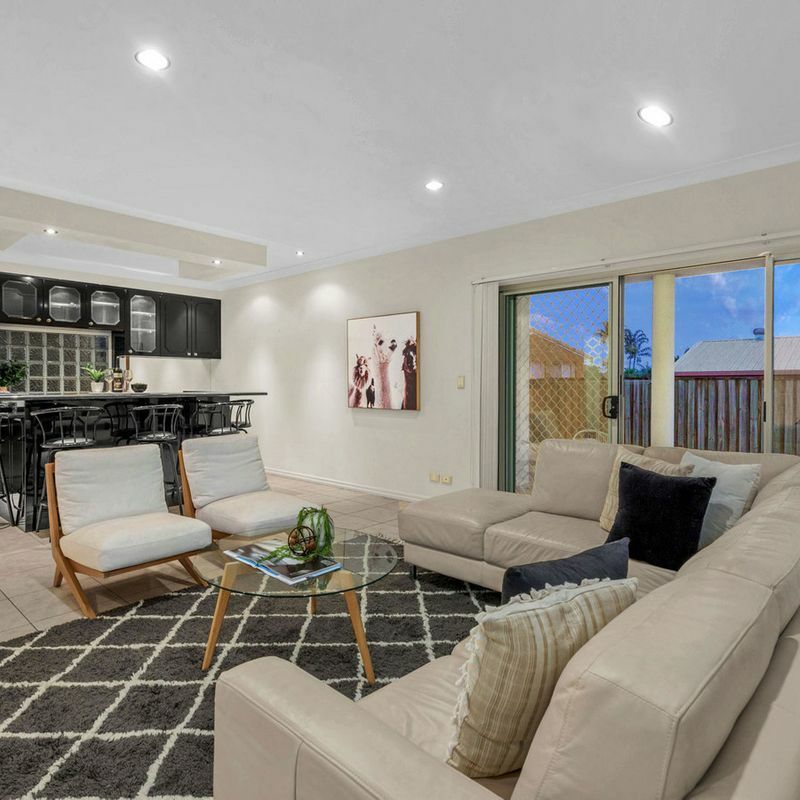 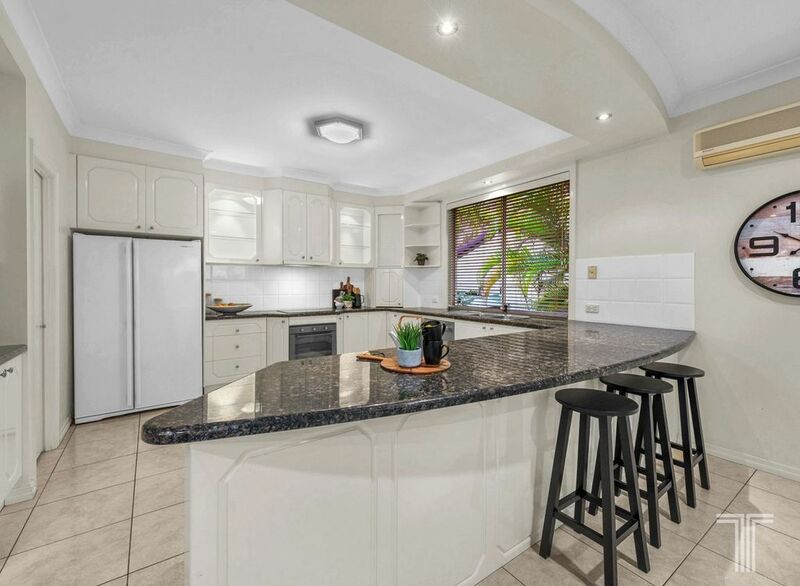 Offering a spacious gourmet kitchen featuring wraparound stone benchtops, breakfast bar, quality stainless steel appliances and walk-in pantry, residents will also appreciate further living room, with a second lounge positioned only steps away. 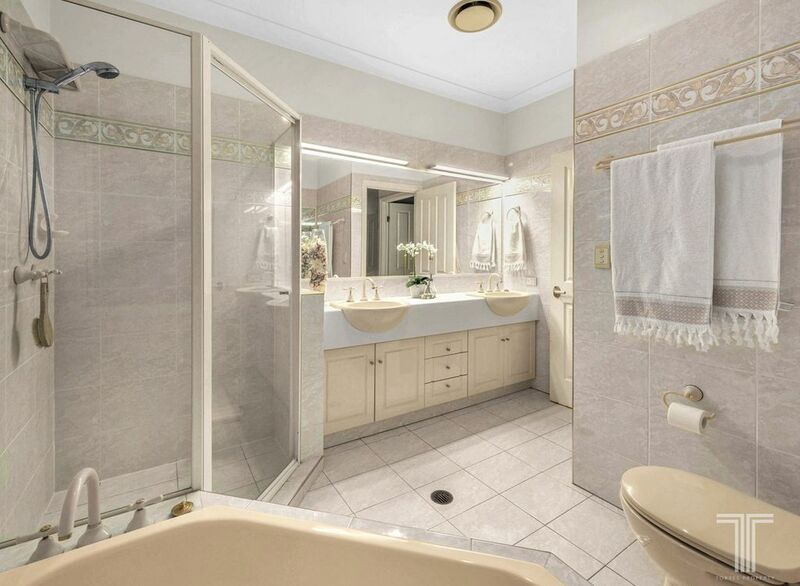 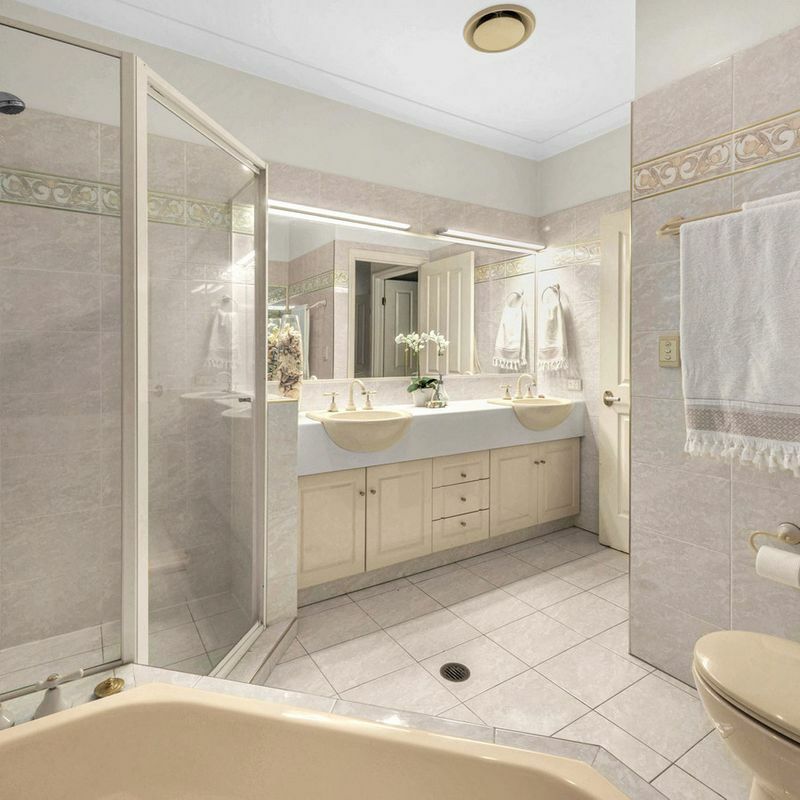 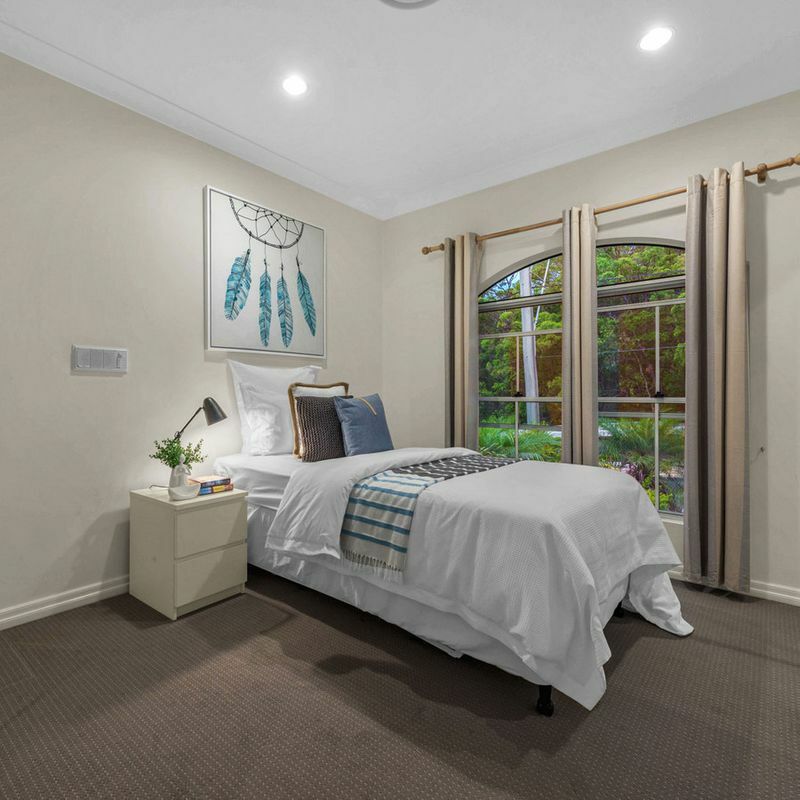 Located on the third level, three bedrooms with elevated, leafy outlooks include a spacious master suite with large walk-in robe and ensuite with dual vanities and deep spa bath. 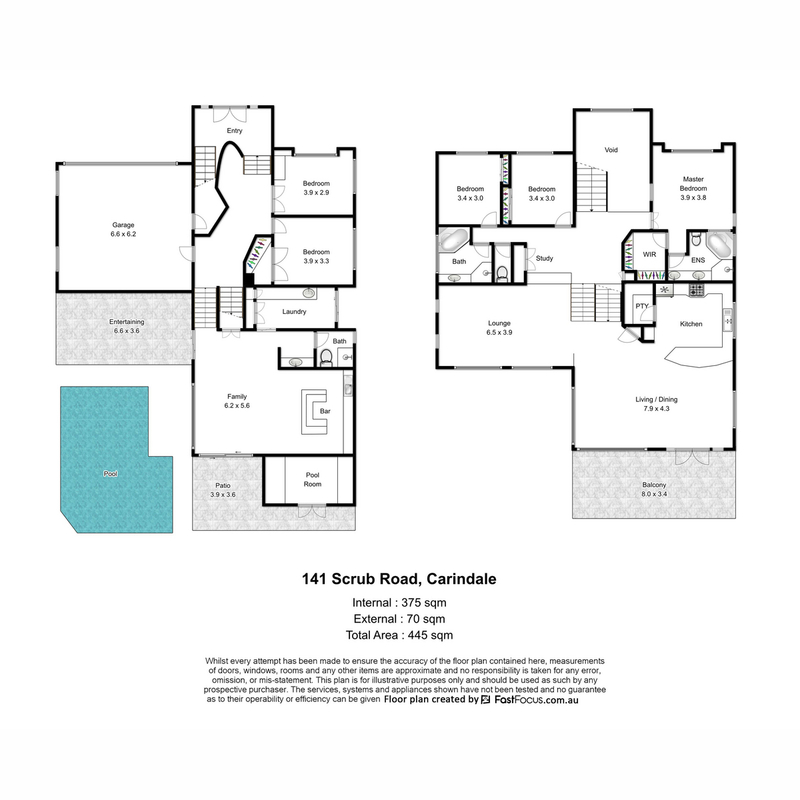 A further two bedrooms are positioned on the entry level. 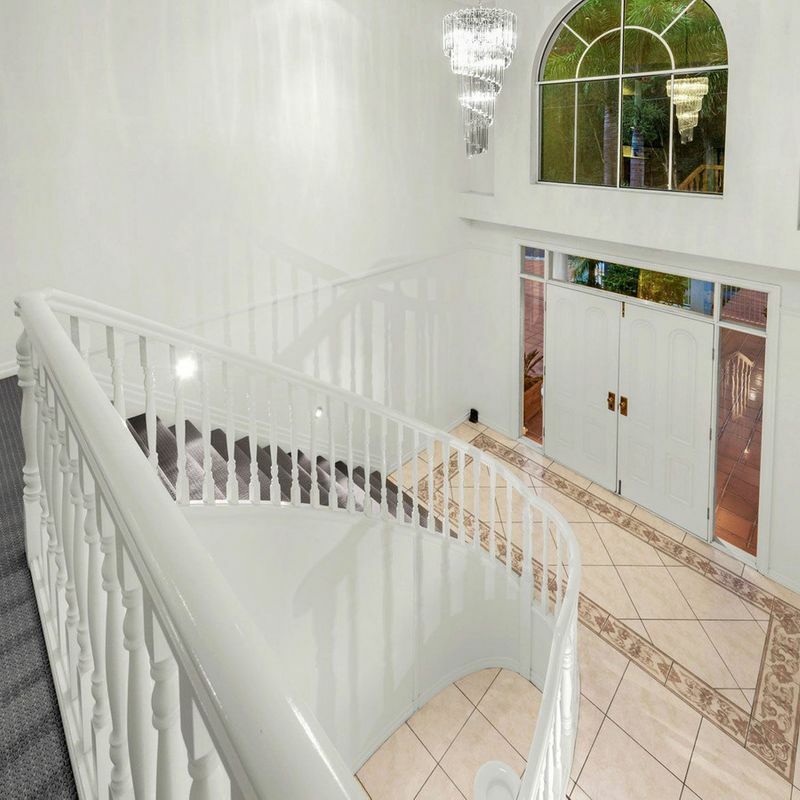 Resort style living at one’s fingertips is offered every day of the year when descending to the lower level and into the family room. 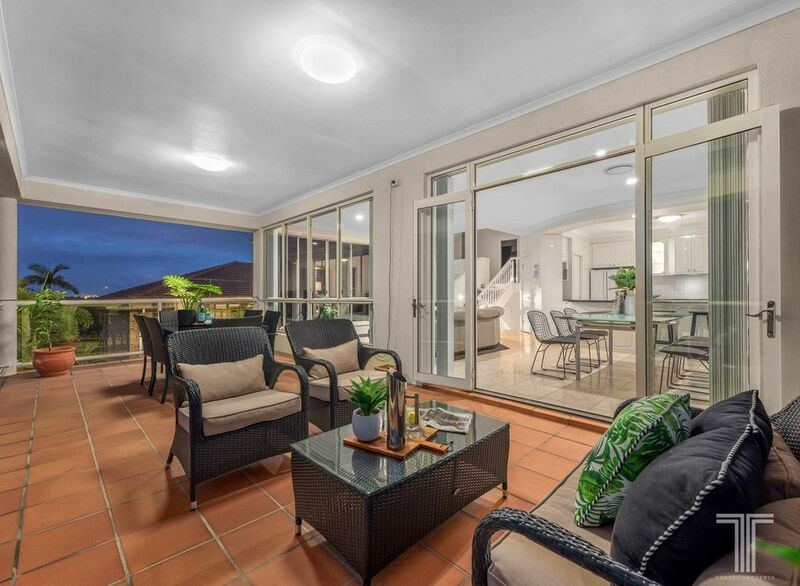 Providing an easy flow through glass sliding doors to the outdoor swimming pool and onto the welcoming entertainer’s terrace, this room showcases a second designer granite kitchenette/bar allowing for the ultimate lifestyle of creativity and accommodating dual living. 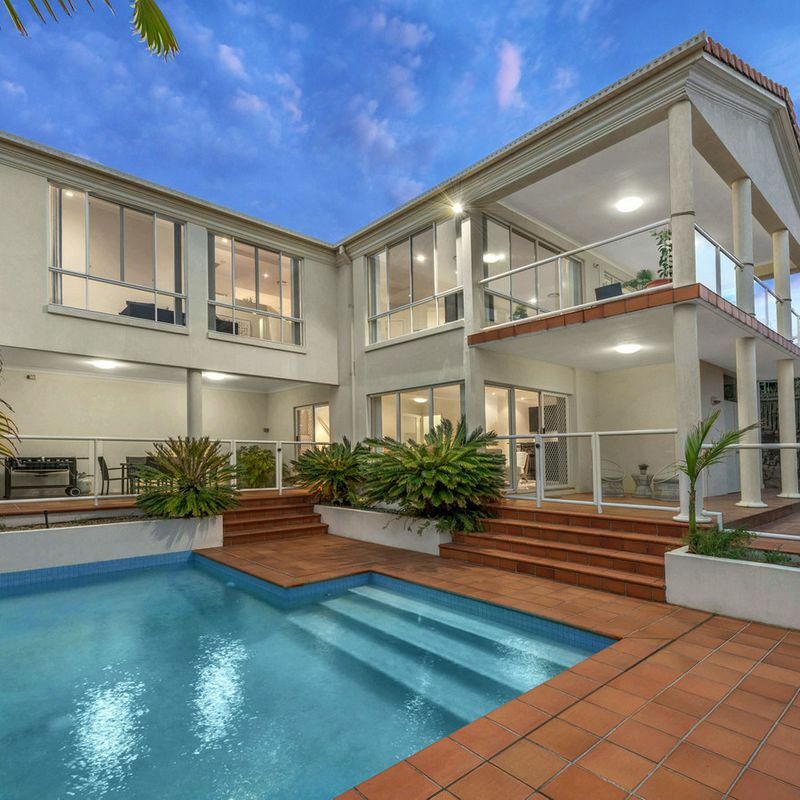 Adorned with tropical palm trees, the outdoor retreat invites relaxation in the sunshine and overlooks the sparkling, glass framed swimming pool. 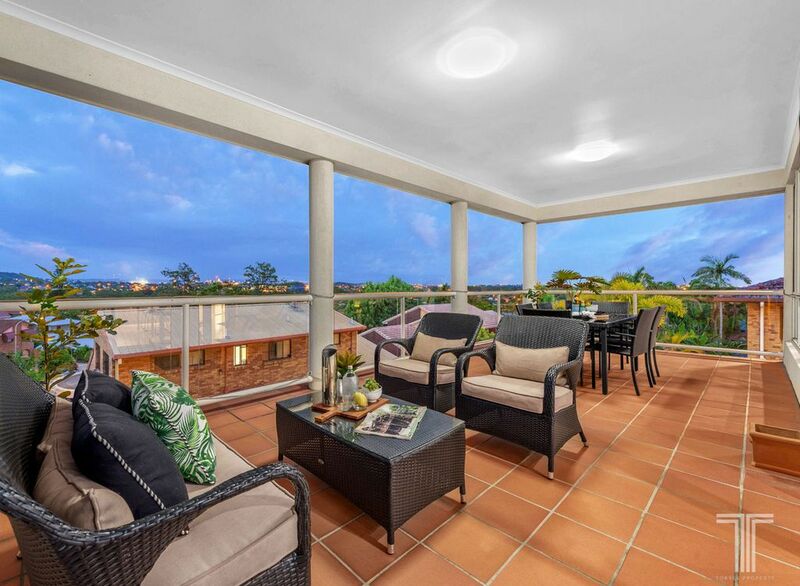 Perfect for alfresco dinning, with family and friends. 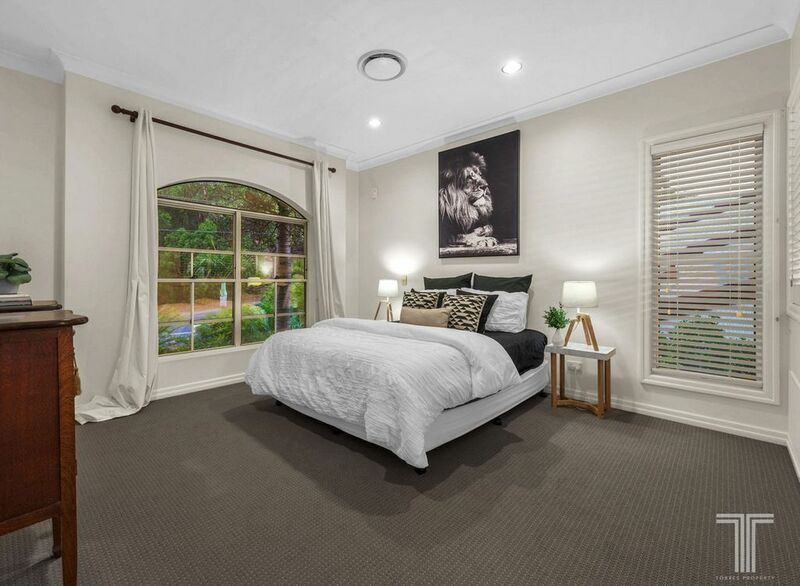 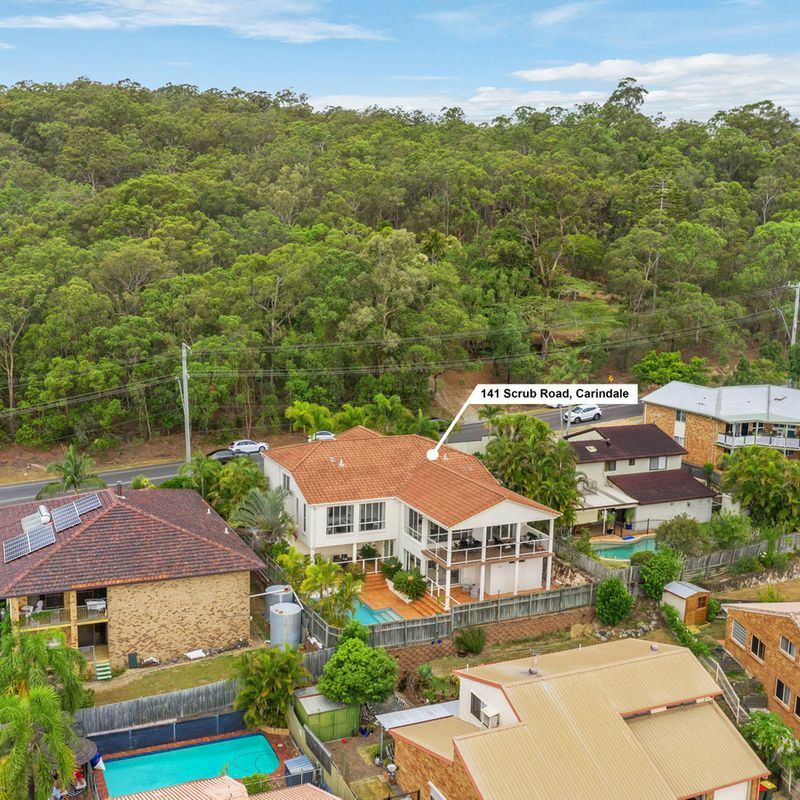 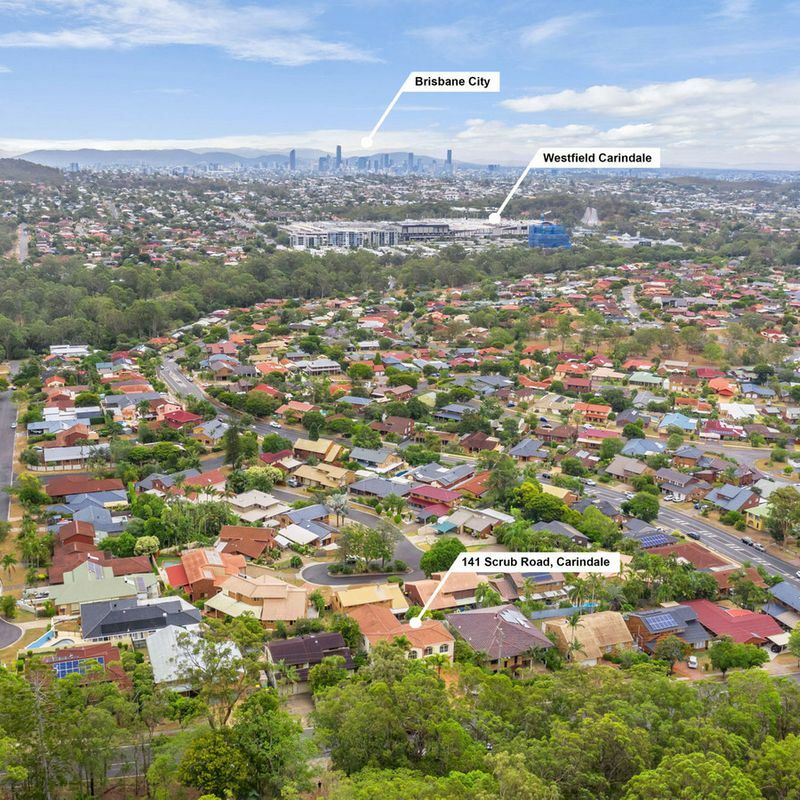 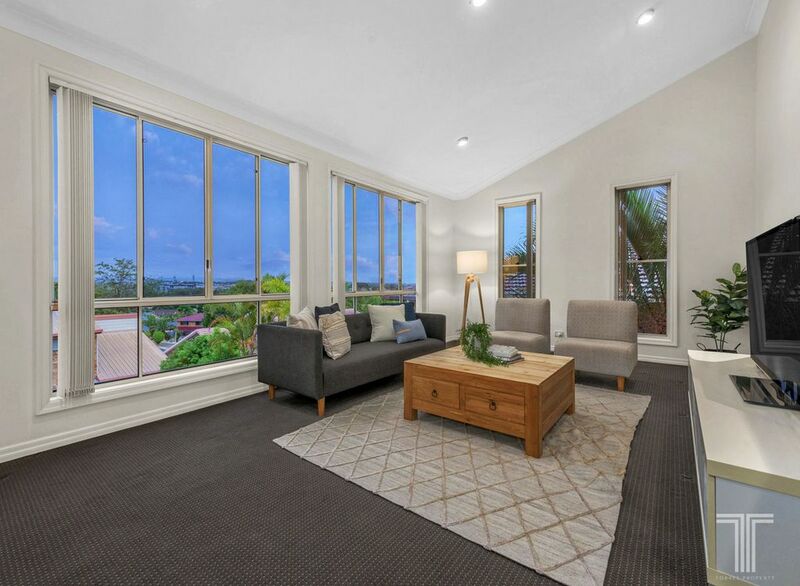 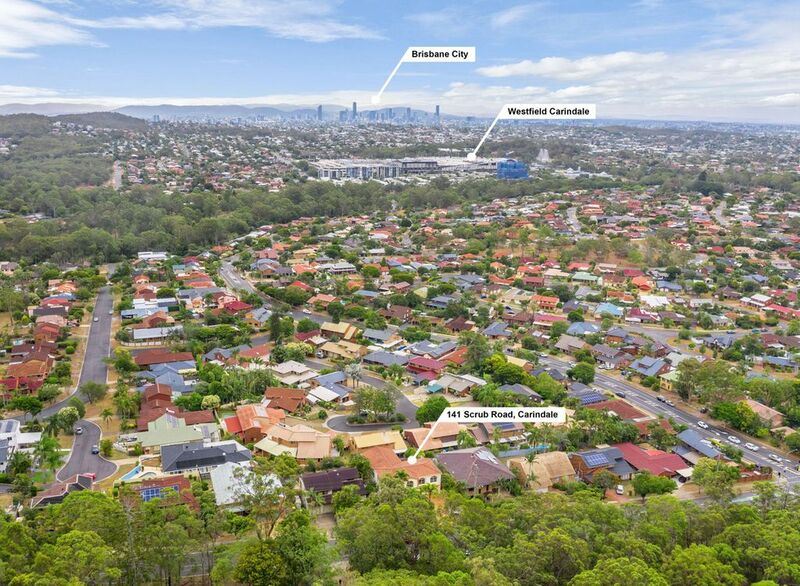 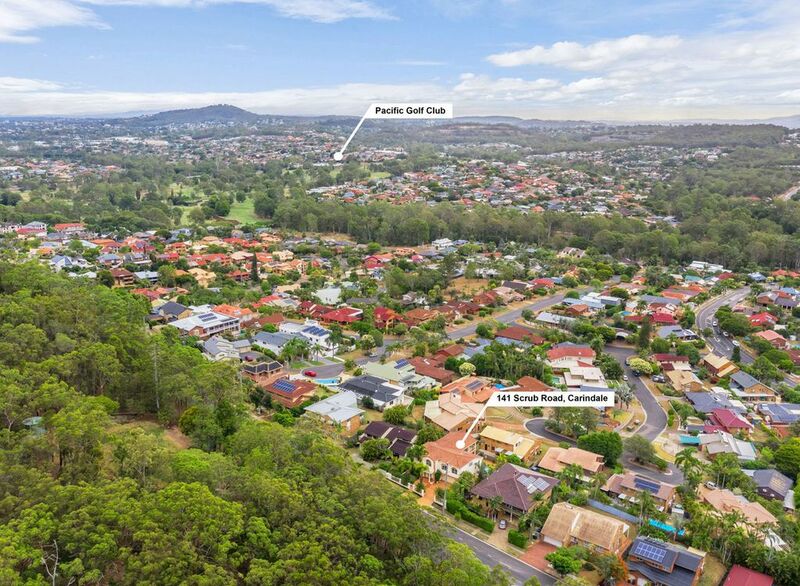 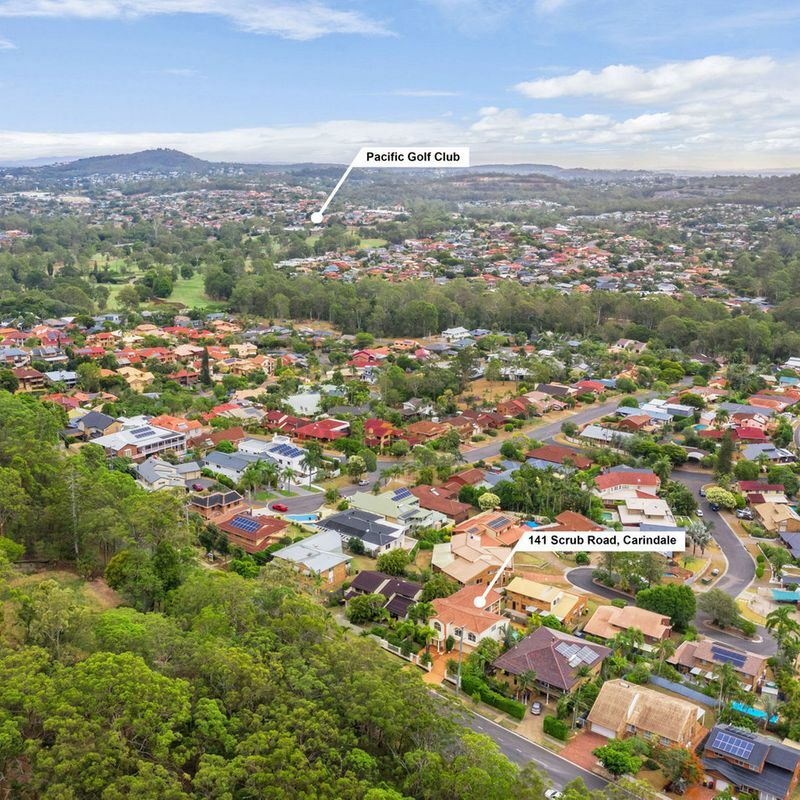 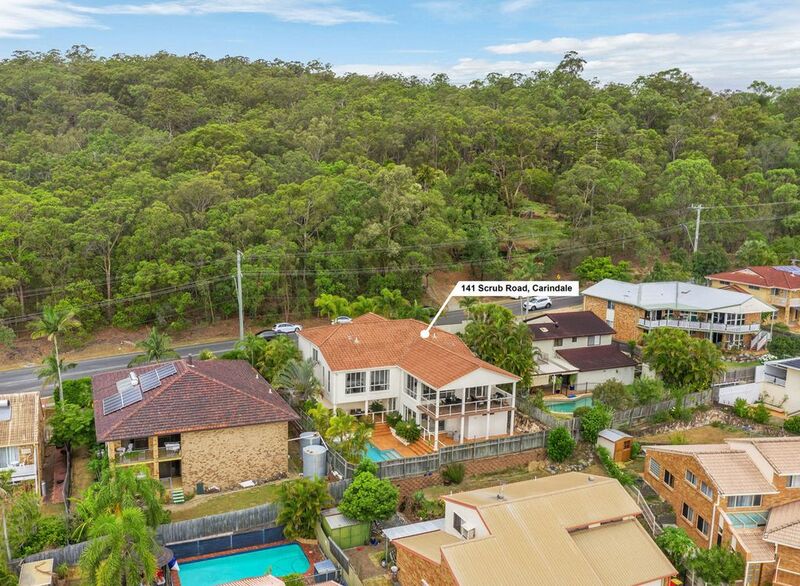 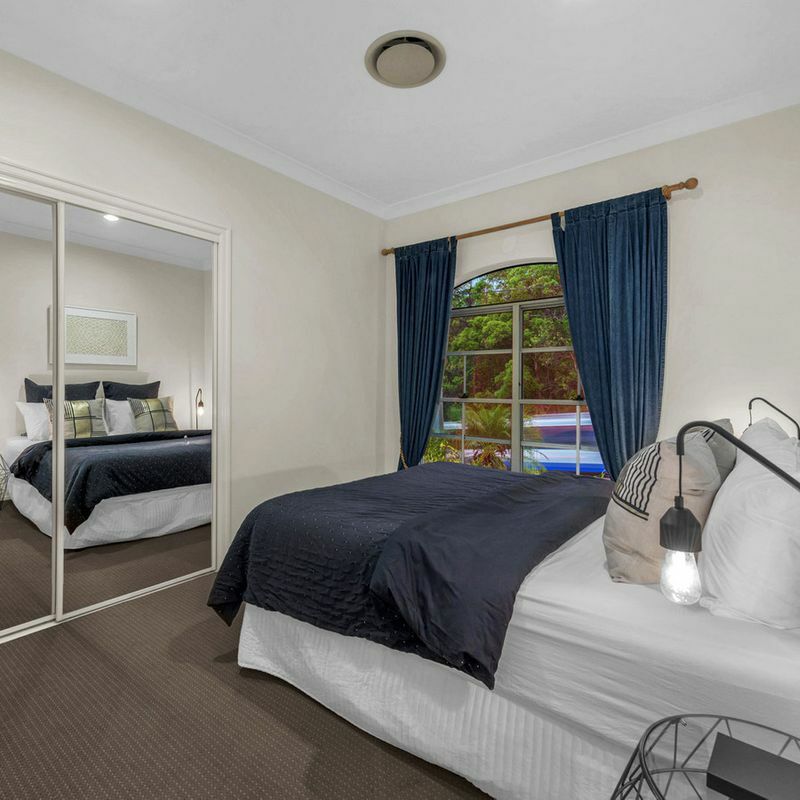 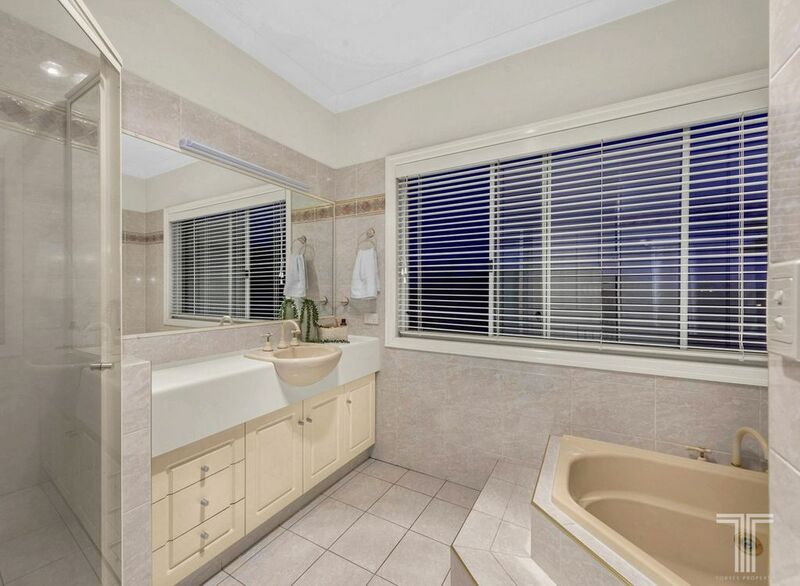 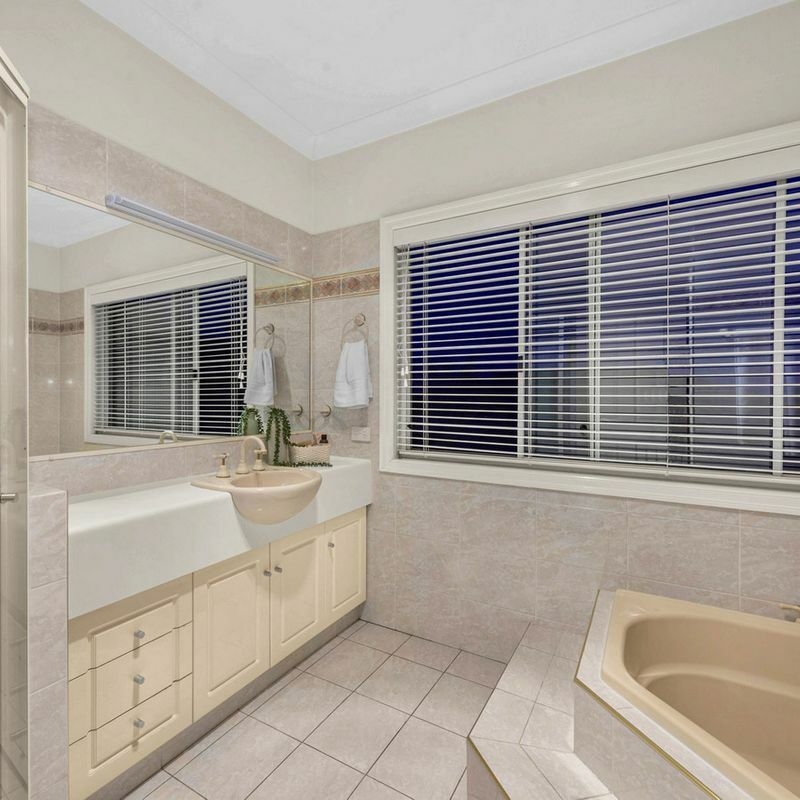 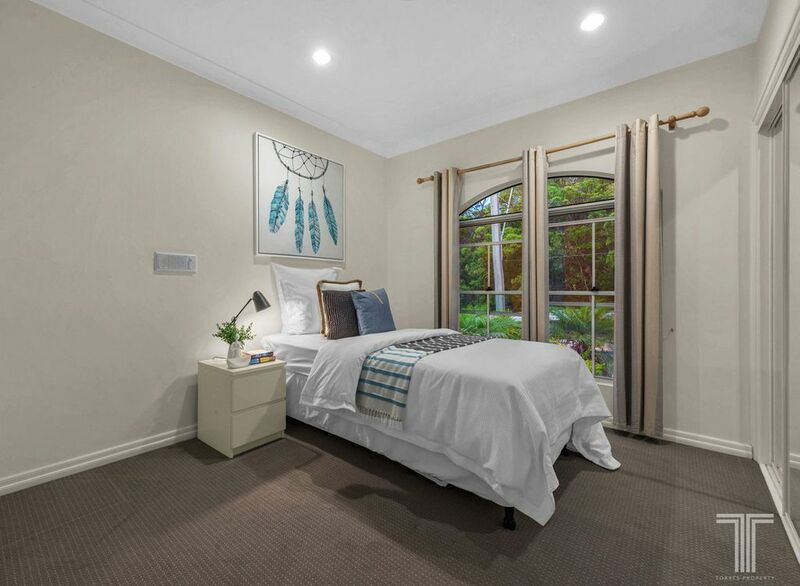 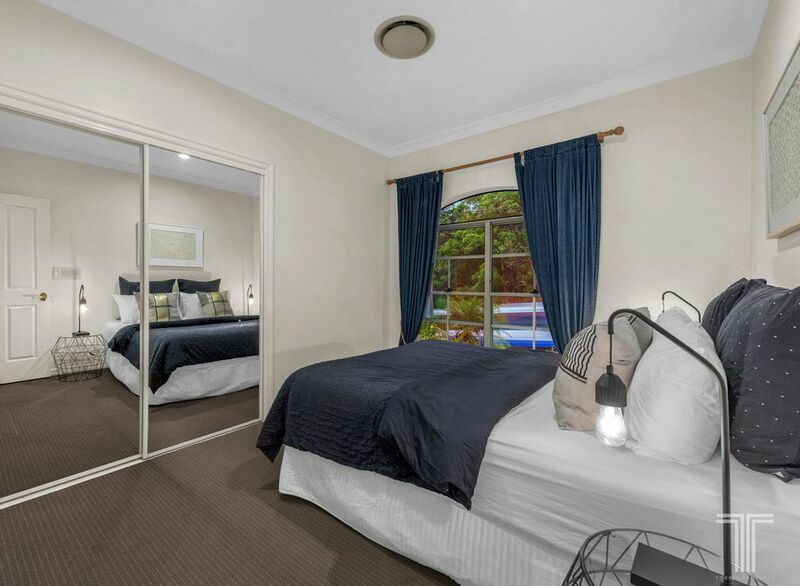 Beautifully positioned opposite lush bushland and close to parks, bus stop, Pacific Golf Club and walking trails, this family friendly locale is only minutes to Westfield Carindale, Belmont State School, quality private schools and the Gateway Motorway for easy trips up and down the coast.